Join award wining Artist -Illustrator Jaymee Weinreich for this 6 week class, Wednesdays from 6 to 8 pm , beginning March 13, 2019. A successful book illustrator, Jaymee says iillustration shows or tell us something about our world. A picture of a bird, a coral reef, or a scene is used to compliment a story, exemplify an idea , or to make a point. Uses for the skill are infinite. 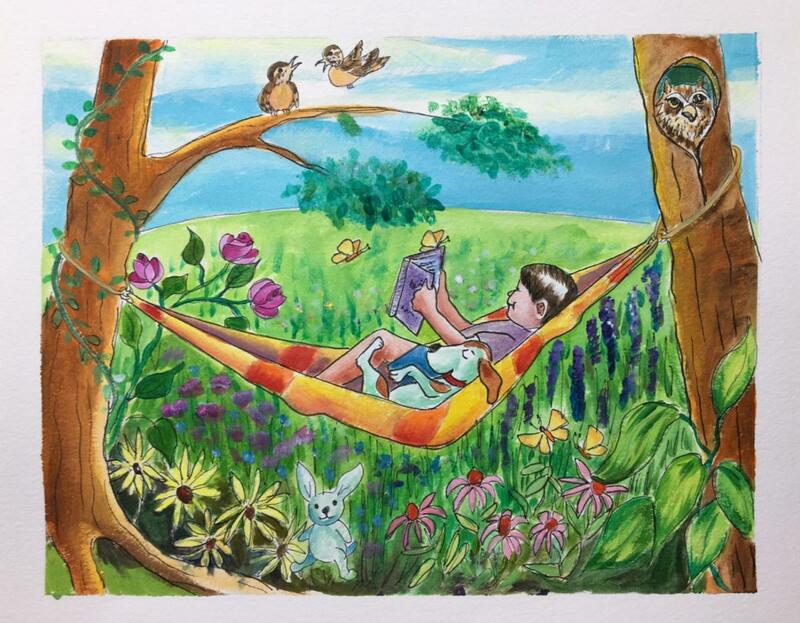 In Adventures In Illustration, instructor Jaymee Weinreich, will guide students in drawing, transfer and then finishing illustrations in acrylic paint on paper. Cost for the class is $125 + $5.00 for some materials provided by the instructor. A material’s list will be provided for remainder of material’s needed. Registration with a $25 deposit is due on March 10. Reserve your space by calling Jaymee Weinreich 787-640-6119 or email jaymeeweinreich@gmail.com. The class will be held at the Studios of Cocoa Beach , 165 Minuteman Causeway in downtown Cocoa Beach. The Studios of Cocoa Beach is a non-profit gallery featuring the work of 30 local artists and offering a variety of classes and workshops for children and adults, beginners to experienced. The Studio is open Monday and Tuesday 10:30 am to 3:30 pm, Wednesday through Saturday 10:30 am-8pm and Sunday 11 am-4 pm. For more information on exhibits, Studio artists, or the complete workshop schedule, visit the website: www.studiosofcocoabeach.org or call 321-613-3480.